You are currently browsing the tag archive for the ‘totally wired’ tag. With his previous project I/II, Zagreb Artist Ivan Antunovic has released the Album Earthquakes Usually Come Around At Night for the Viennese Label Totally Wired some years ago. 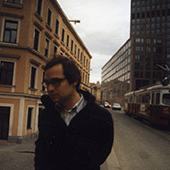 Ivan is also running his very own Imprint, Half Releases, where you are able to find more recorded music by him. After changing the name to Iv/An, Antunovic started to articulate more songs in Croatian. as with his acapela performances -it serves a very bold outcome. Zlatni Rez (the Golden Section) & Ovozemaljske Stvari (The Earthly Issues). the e.p. is availble digitally (Bandcamp, iTunes, Spotify etc) as well as physically in most record stores around Vienna. you can order the 7″ also from Fettkakao.com, Bandcamp or Discogs. 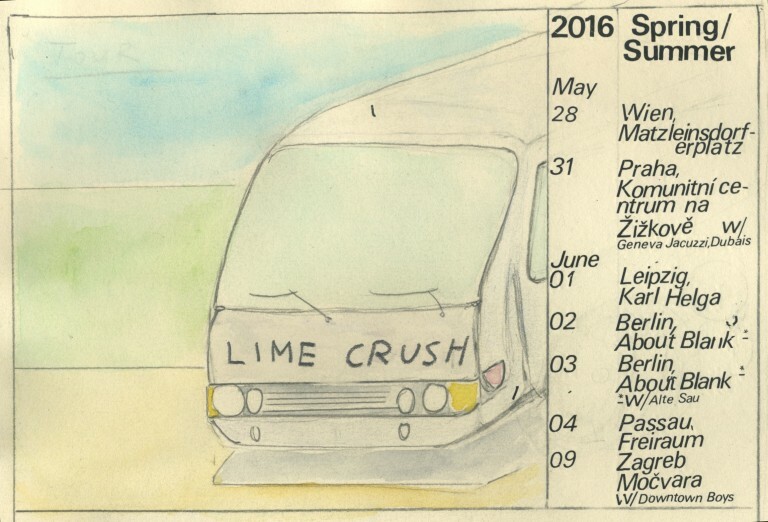 Recess Records artist Toys That Kill are on tour in April again, playing a show at Venster99 in Vienna! By the turn of the century, the San Pedro Band emerged out of F.Y.P – Todd Congelliere‘s first (solo) project. With Sentimental Ward Toys That Kill have released their 5th Album, which came out in june 2016. The show takes place April 8th. 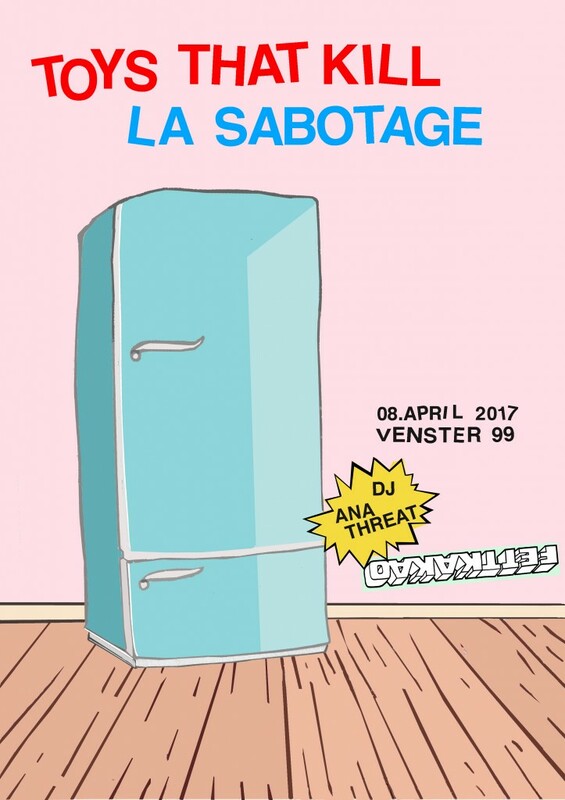 La Sabotagefrom Linz are opening up the evening and Ana Threat is doing the Saturday Night Punk DJ thing! 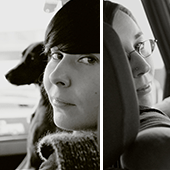 Febuary brings us the new release of a youg Trio from Linz: La Sabotage! find the new outfits manifestation, w/ their bold and unprejudiced way into music on their debut 7″. what a joyous moment, after all. Please follow this link to the ep. You are able to listen to the song Madvia soundcloud as well as stream the ep via Bandcamp too. Small bags with a zipper, in a size to fit drawing tools (or whatever smaller items you intend to carry) with a strengthened inner side to keep things together. 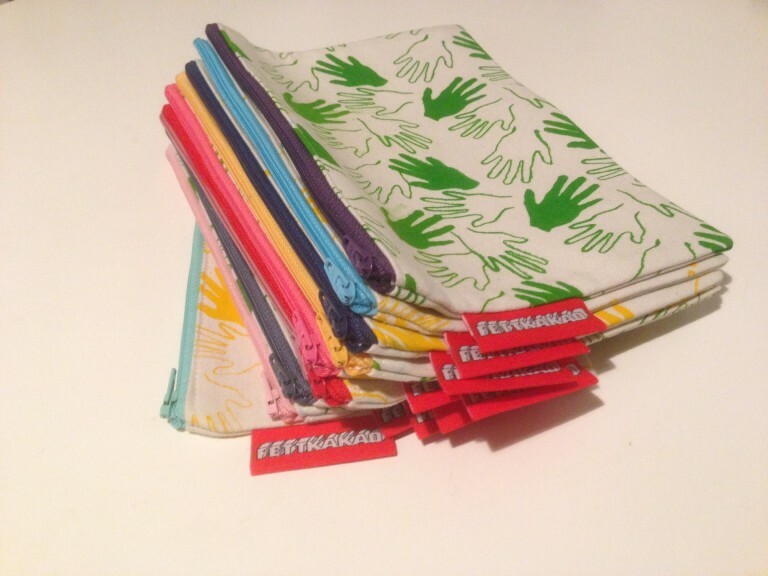 the screenprinted pattern symbolizing hands, comes in green and yellow. find the items for a possible online order in the Art Section of this page. you can also contact me via electronic mail. Calvin Johnson has released a new Album under the name Selctor Dub Narcotic, called This Party Is Just Getting Started via K Records last September. Spanish Artis Aries had her record Adieu Or Die out on K , in cooperation w/ La Castanya, earlier this year. 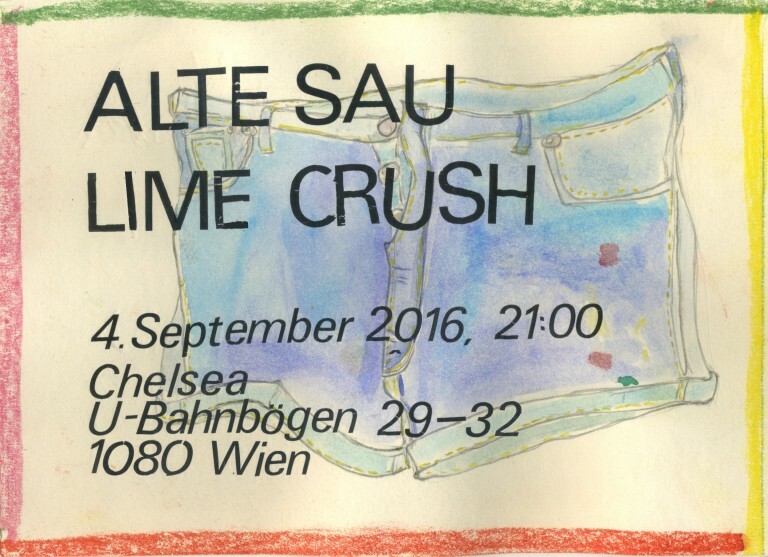 Both artists will present their newest work at the Celeste in Vienna, November 3rd, 2016. 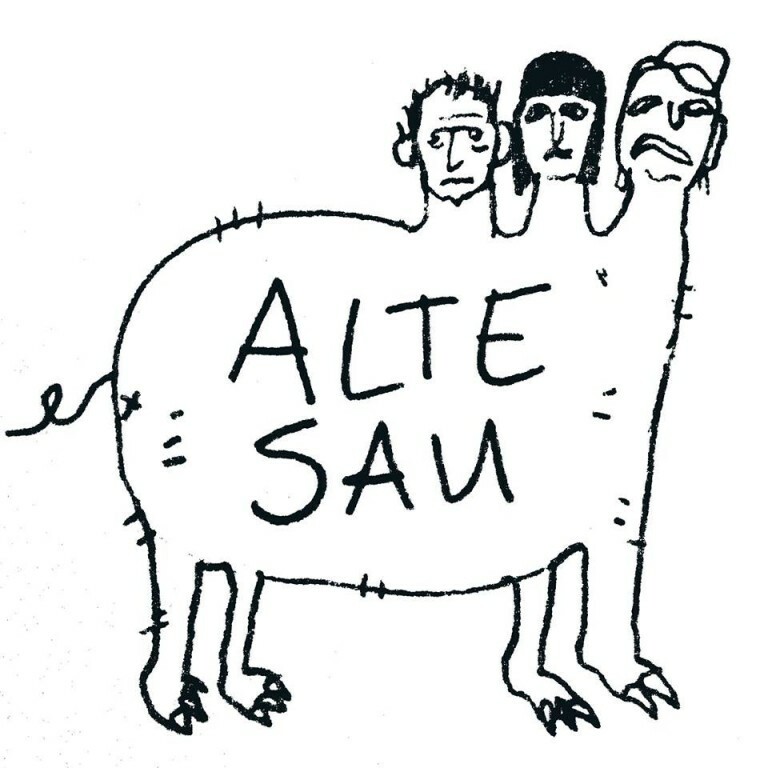 Alte Sau are touring in September w/ their new record To Be As Livin’ (Major Label). 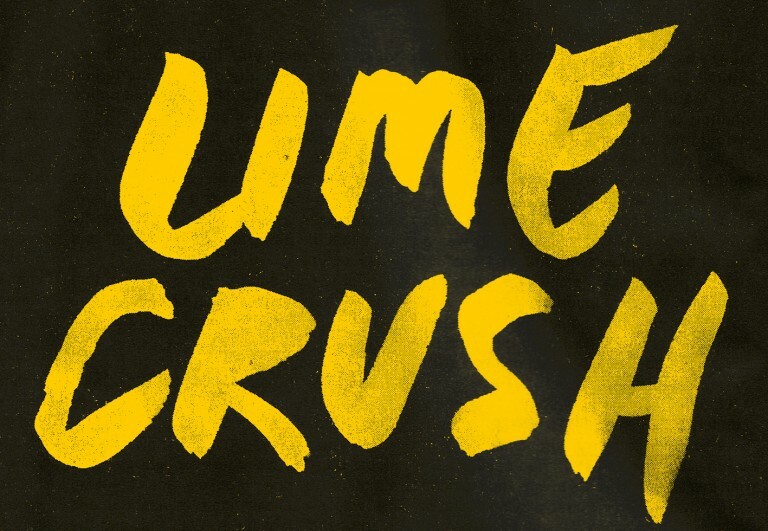 we still have a few copies of the split 7″ with Lime Crush available as well! Brand new music video made by Veronika Eberhart to the song Graveyard, which was released on the first Lime Crush 7″ (fett038) in 2015.
you can watch it on youtube, vimeo or dailymotion! 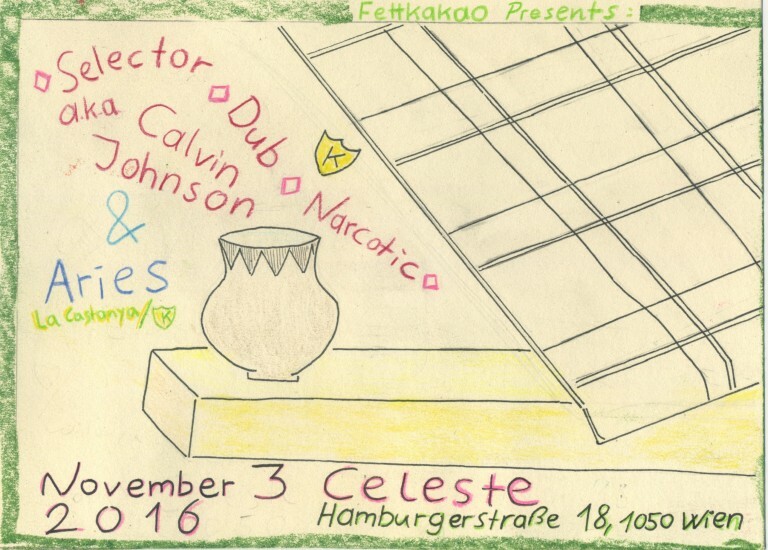 for quite a while i have been playing the You Make Me Wanna Die 7″ by The Shivas during the Fettkakao DJ nights at Elektro Gönner and other places. there was always someone coming up to me asking who’s song this is. The Shivas have 2 LPs out via K Records – White Out and You Know What To Do; a new record should be out due this summer as well! the Quartet from Portland, Oregon is touring Europe for the 2nd time and now finally come to Vienna on August 25th, 2015 too! 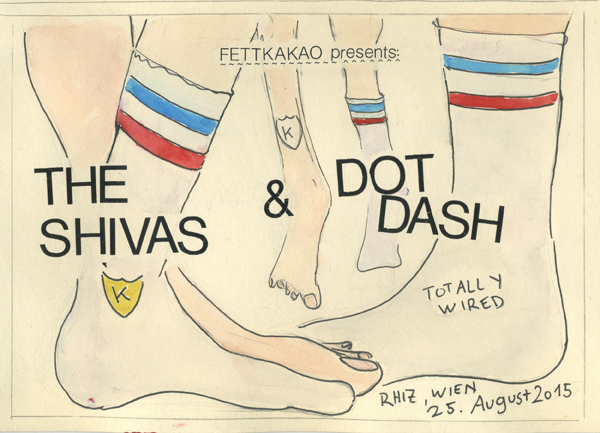 this happening takes place at the Rhiz and Dot Dash perform as well! 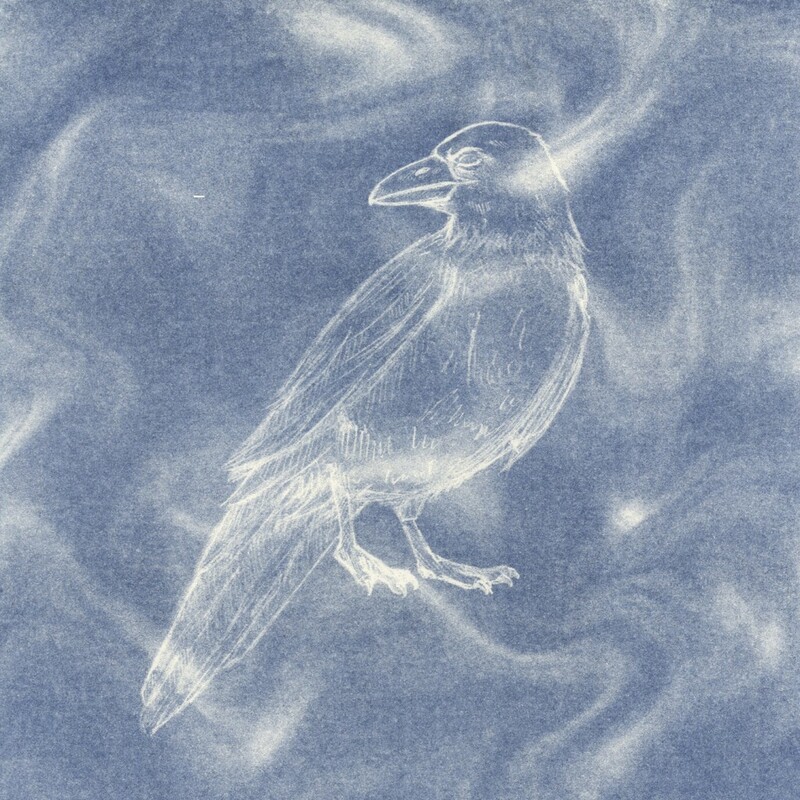 listen to their 7″ from last year, here, on bandcamp. i am a fan of Totally Wired for a longer time already. 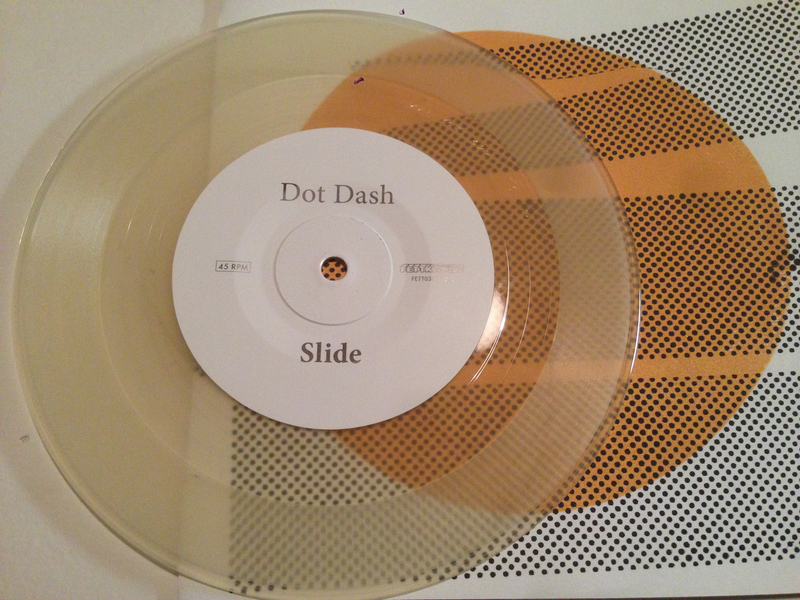 and the label would be unthinkable without Dot Dash. I don’t really remember how i got to know them all. it must have been Kathi i have met first – during a punk show at the fluc. weeks later she asked me if i wanted to hang some screenpinted (fettkakao) covers at the LOVE_ gallery – a place run by Kathi and her friends then. there i was introduced to almost all DD members, but neither DD nor Totally Wired was around then. they had this really wonderfull gallery – a place i would come visit, hang out at – or organize exhibitions / shows there myself. i felt connected to them immidiatelly. Totally Wired curated an evening during the Fisch-Fest at the Bach in November 2013. 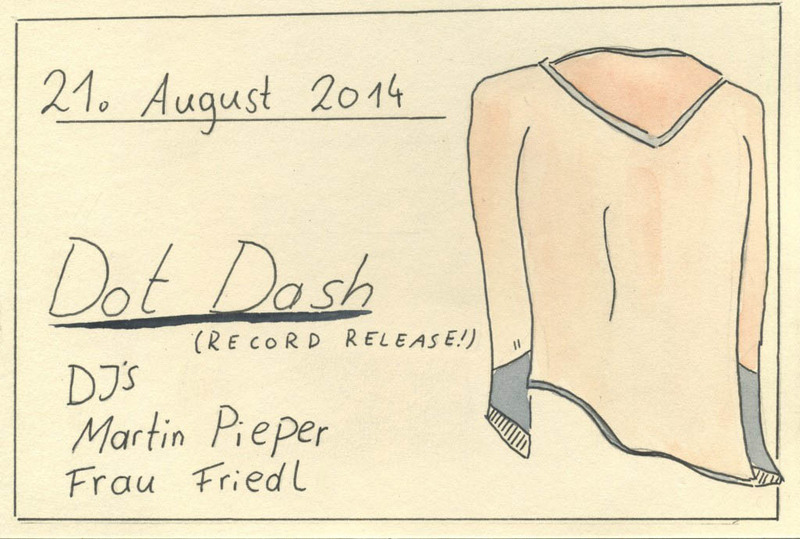 Dot Dash presented their second LP – and even though i have seen them perform many times – it was there that i wished them to do s/t with me. they recorded Evil for the Sampler – and some weeks later Seasick and Slide for this 7″. bieber (flight 13) pressed the vinyl, my friends graphikkinder did expose the screen with which Dot Dash and me printed 200 covers. 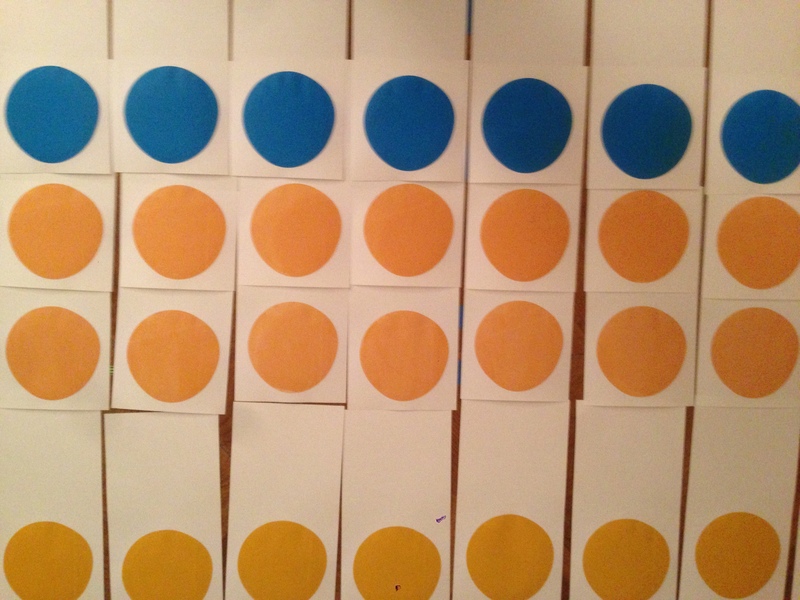 the 7″ will be presented at the Celseste tomorrow evening, an early show (be there at 8PM – it is over by 10PM), we have a limited amount of colored vinyl available, and as seen before, the dots on the cover differ as well. you can listen to the 7″ here, via bandcamp.